When I was young, I had a random VHS tape of a movie that really confused me. It could have been a mini-series because it seemed like it had some references to other things in flash back that had to do with the weird story. I don't think it was a Disney movie or anything. two young adult/ teenage kids were on a spaceship, a guy and and girl. in another plot, a black guy gets stuck in some sort of inter-dimensional junkyard and has to repair some sort of thing like a suit or ship. Then some off-screen thing comes and hurts him more. And that's basically all I remember. 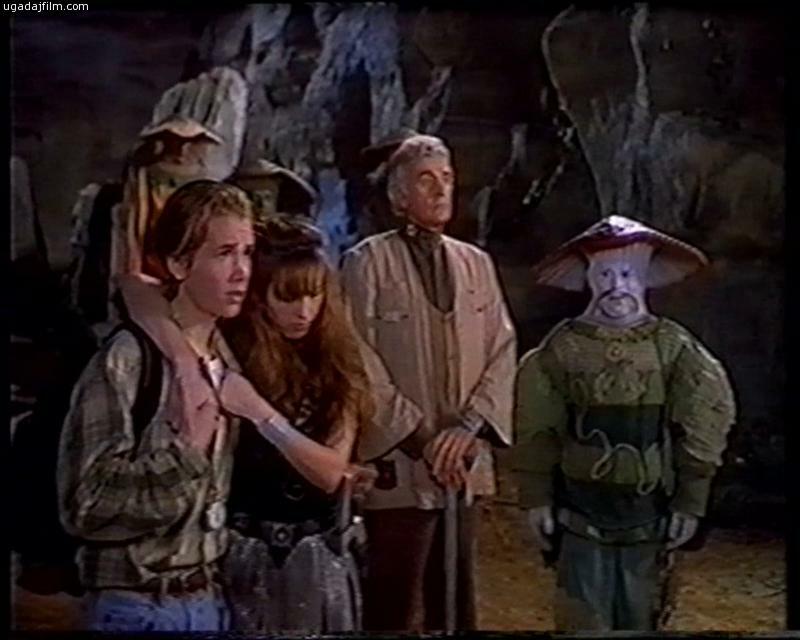 Could this be part of the Josh Kirby Time Warrior Series? I've been going crazy trying to find it and it might match your story. Not the answer you're looking for? Browse other questions tagged story-identification aliens spaceship or ask your own question. What book has a magic forest behind a grandmother's house?